Pearl™ is a unique personality tool that compares an employee’s personality traits to characteristics associated with working safely. Pearl™ is part of our Front Door Solutions™ family of products and services. My father was a hard working mail man and he was also the son of a local grocery store owner. Both my father and grandfather struggled to make ends meet. My father worked day and night and was starting to make progress with his swimming pool store in a little town outside St. Louis, Missouri. My father was smart, but he had a huge weak spot for people and loved to give everyone a chance, a second chance, a third chance and another for good measure. The first few bad hires didn’t do a lot of damage, but as you can imagine the last one did. The last one, let’s call him Stan, took my father’s business for everything it had. Dad had to close the doors and take out loans against our house. Life changed. And I vowed to help protect organizations from bad hires. For organizations who are dissatisfied with the accident and injury rates and candidate selection process, Pearl™ is a rapid assessment program that provides organizations with a tool that can be completed in as little as 20 minutes. Unlike traditional candidate selection programs, Pearl™ is able to accelerate selection, reinforce safety and risk management concepts reduce the organization’s accident and injury rates. 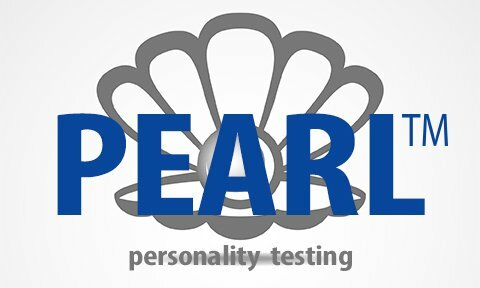 Based in personality research, Pearl™ tests and measures 10 key traits which are associated with working safely, or more broadly, taking unnecessary risks which are associated with accidents and injuries. Using an online assessment, candidates and employees alike answer a series of questions and Pearl™ calculates their personality traits to determine which candidates or employees are at-risk for working unsafely. In today’s job market, organizations are flooded with candidates. Selecting the right person for the job and be a challenging proposition. Taking calculated risks is good, just taking risks isn’t. Know the difference with Pearl™. Some employees have poor attitudes towards safety and health. Some even have a high-risk mentality towards working safely. Just because they haven’t been injured on the job, doesn’t mean that they would make a great leader in the organization. Ensuring that new managers have the right characteristics for leading others safely is a serious requirement. Attitudes, values and personalities can change over time. Re-assessing employees as part of their development plan provides valuable insight into where you need to spend your resources, time and effort. What good is an online tool if it doesn’t combine with other sources of big data to help you improve your predictive analysis. Combine Pearl™ with your organization’s other data streams to gain valuable intelligence on what things correlate with working safely.